Dawn Lusk here, sharing a simple yet elegant way to give a gift card. My son has another wedding coming up and I know he'll wait till the last minute and say, "MooooooooOOOm, I need a card and gift... what can I get them?" Then like a sweet loving mother, I'll hand him this and tell him to stick a gift card inside! I used Oval Window Box with Acetate Rectangle, (Basically Black )from Creative Cuts and More. 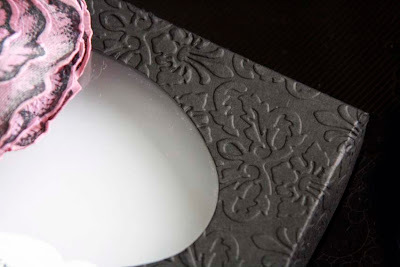 I ran the lid through the Cuttlebug with Kassie's Brocade embossing folder before assembling. I used Killer White Tear-able Tape on the corner tabs and the acteate inside. 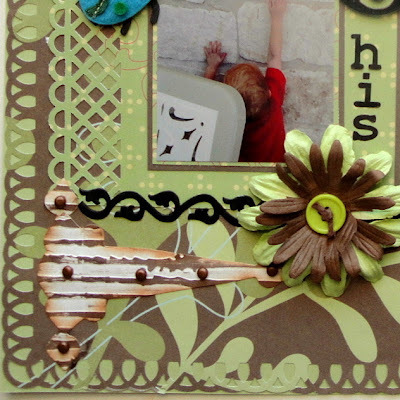 The stamps are from Our Daily Bread designs new July release, Sweet William Large and Small sets. Good morning everyone!! 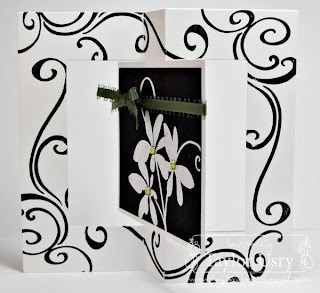 Fern here with today's DieCut Diva reveal for Creative Cuts & More... And I am going to show you the project I made for the Frosted Designs Black and White + one other color challenge that Creative Cuts & More is sponsoring this week.. The prize is for the Sea Life Mini Album Kit. The challenge runs thru Thursday evening so you still have time to play!! 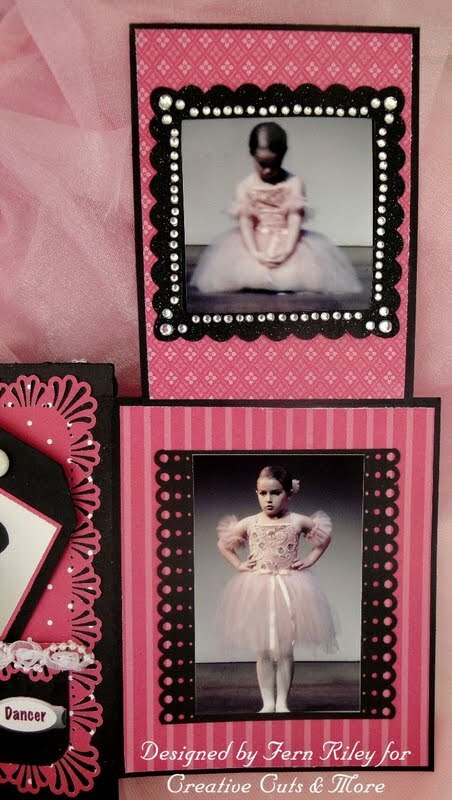 I only used 2 album pages, but this little album is jam packed with photos... I hope you enjoy it!! Here is the cover.. 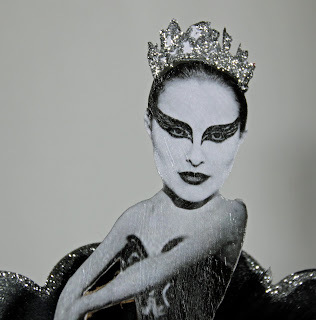 I covered it with black glitter paper.. 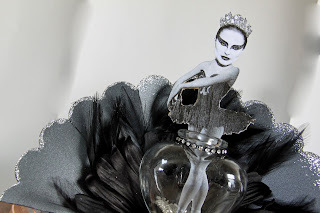 Here again I just decorated over the Black Chipboard.. Here are a couple of tags.. Here are the back of the tags..
Becky here today to share a project I did using one of the 11 1/2" Scallop Circles from Creative Cuts & More...but not in the usual way! I am OBSESSED with the gorgeous (& sometimes strange!) 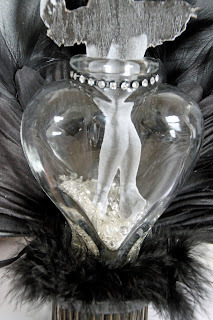 hand-decorated glass bottles you can find in shops & all over the internet. 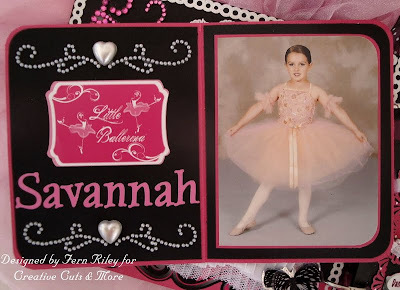 I made one similar to this one for our niece, who is a ballerina/student in Chicago. 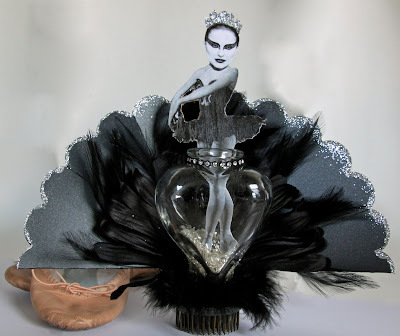 Her little bottle was my inspiration for this one & I was thrilled to use this large scallop as my base for another one I plan to sell on Etsy! The base of the "fan" behind the bottle is that 11 1/2" Scallop Circle - I folded it in half & then again several times like a fan; then glittered the edges with silver. 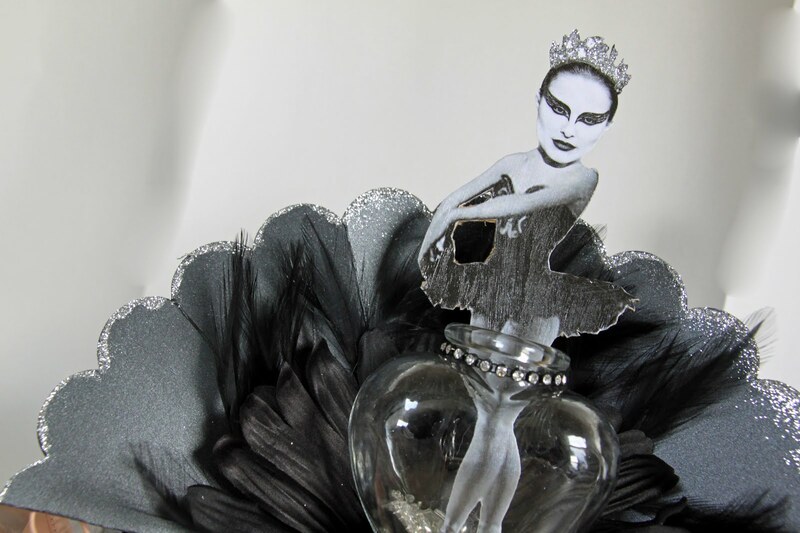 Between the bottle & the scallop circle is a large black flower & some feathers! The bottom of the bottle is surrounded with a small feather boa (photographed on top of an upside down flower frog). I purposely made her head slightly large to add a little more funk & edge. 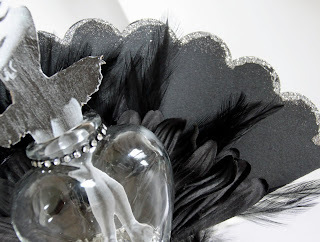 Hope you enjoyed my quirky post today...I'm sure there will be more to come in the future! Are you ready to celebrate the 4th of July? It is one of my favorite holidays because of the meaning and history. 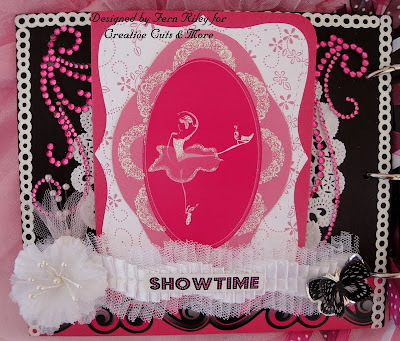 Creative Cuts and More has some fun designs for card bases- this is a Twist A2 Card. I used two Scallop Oval Frame #01 - Large. Here is a view of them lying down- can you see how easily they close if you want to mail? 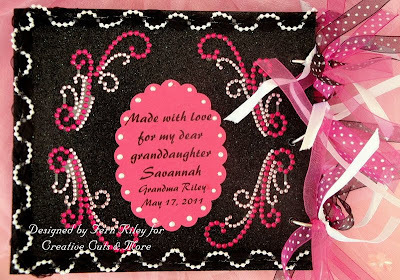 All stamps are from QKR Stampede- gems are from Pizzazz Aplenty. 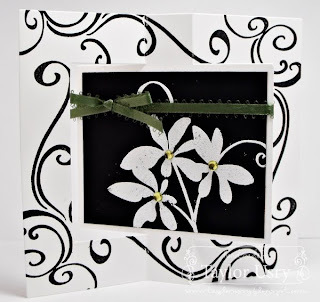 Hi, it's Nora Anne posting today and I thought I'd share my Frosted Designs Challenge card, since Creative Cuts and More is the sponsor this week! 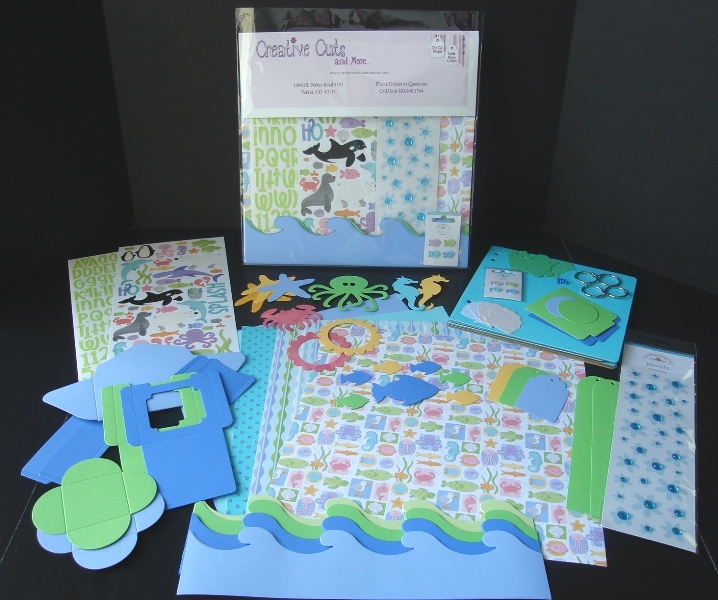 Check out all the challenge details HERE for your chance to win this Sea Life Mini Album Kit. 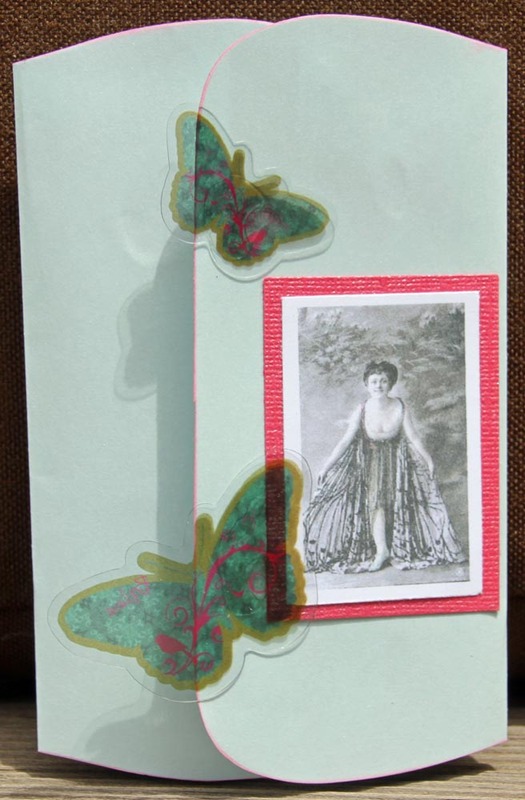 And here's my card using Vintage Labels Small and Vintage Labels Petite along with Butterfly #11 - small. Black and White With a Twist! Hi everyone! It's Taylor here, with a fun challenge card. Yesterday Kristine mentioned that we were sponsoring the challenge over at Frosted Designs. This week, the challenge is to create something black and white with one other color. 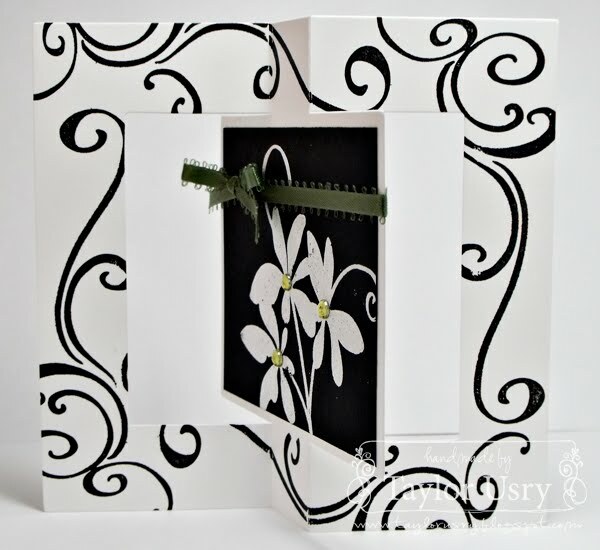 I decided to use the Twist A2 Card in Neenah White to make a fun and elegant floral card. My only splash of color is a bit of green bling and a green bow. 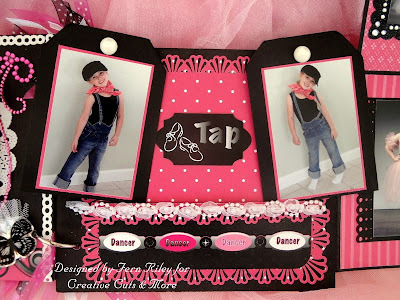 Be sure to head over to the Frosted Designs Challenge Blog today - they'll be featuring more samples from our team, and you can see all the details about the fabulous prize Creative Cuts and More is giving away! What are you waiting for....go play!! Black, White, and one other color! 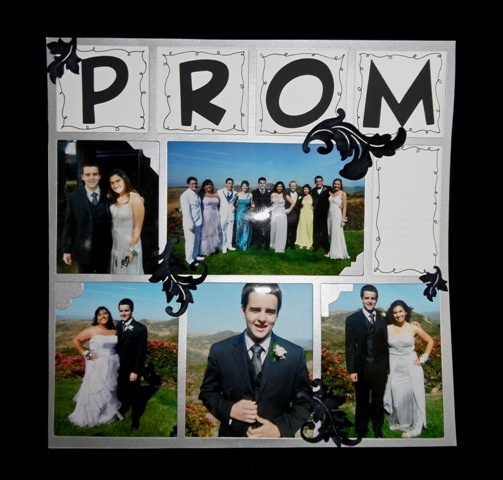 I decided to make a scrapbook page using the pictures from the recent Pre-Prom photo session before the prom my son attended last month. 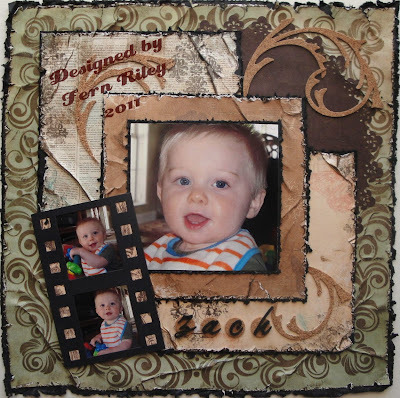 I used a Color Block Mat 12 x 12 from Creative Cuts in More cut from Sliver Stardream Metallic Cardstock. 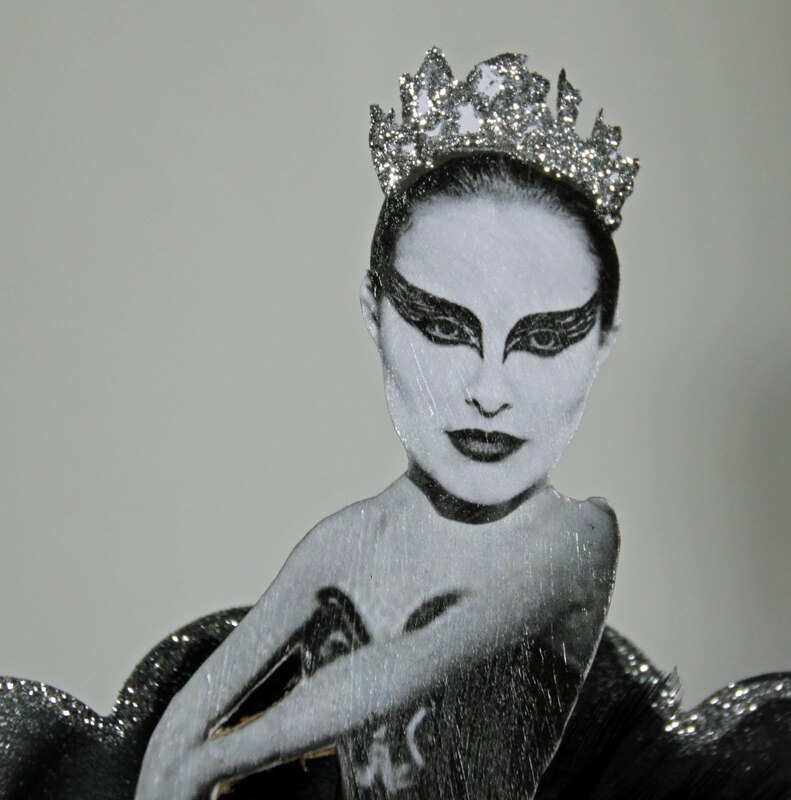 This is such an awesome die cut. All I had to do was cut the pictures to fill the spots. 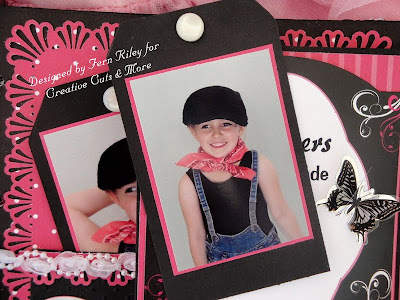 It makes it easy to put together a page with lots of pictures. I wanted to keep it pretty simple because it's my son's page and he is not into frill! 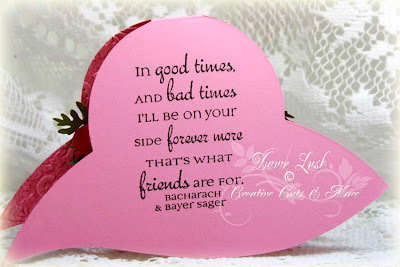 I cut the letters with my Cricut and added Photo Corner Set #02 and some velvet Damask Leaf stickers from Stampendous. Sea Life Mini Album Kit! Using a CCM Album Page as a Card! Sorry for being a couple days late on this post! (I tried to post it on Sunday, but I think because my internet connection was via satellite, it didn't load right...) Better late than never! 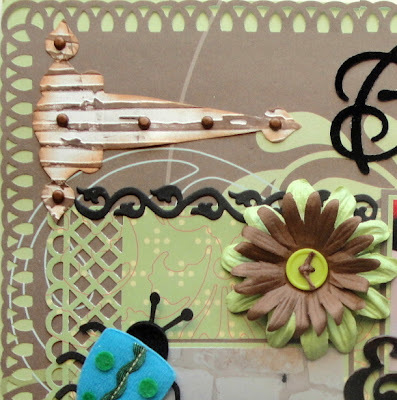 a piece of cardstock that was originally cut for the Mix n Match album! She tri-folded it into this great card!! Adding fun vintage images of ladies & butterflies here & there plus some acetate butterflies from her stash (you could easily order some butterflies from CC&M in acetate & then use alcohol inks & Copics to color them! 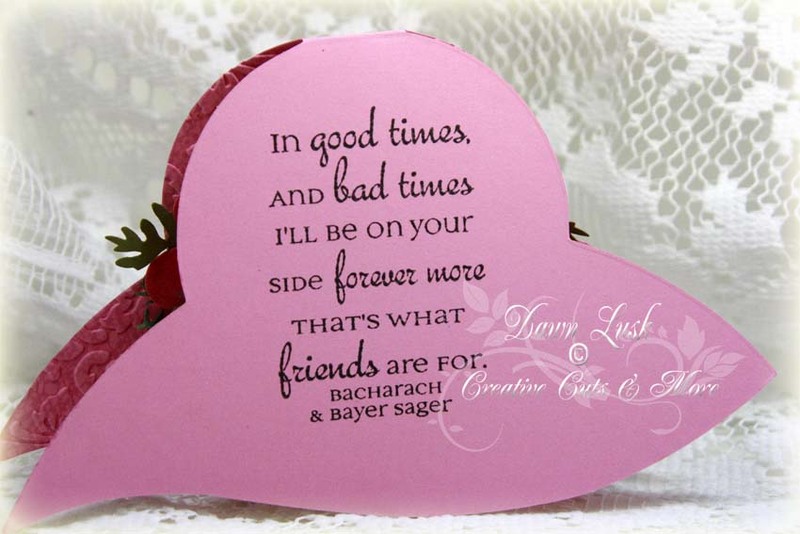 ), she created this fun card ready to send off to a girlfriend!! 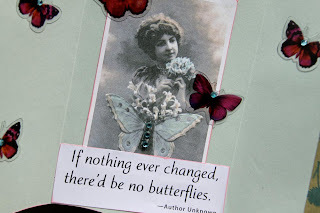 So try to use up some of those extras or look at things in a different way & use up some old supplies! Hi Bloggers! It's Noelle posting today! 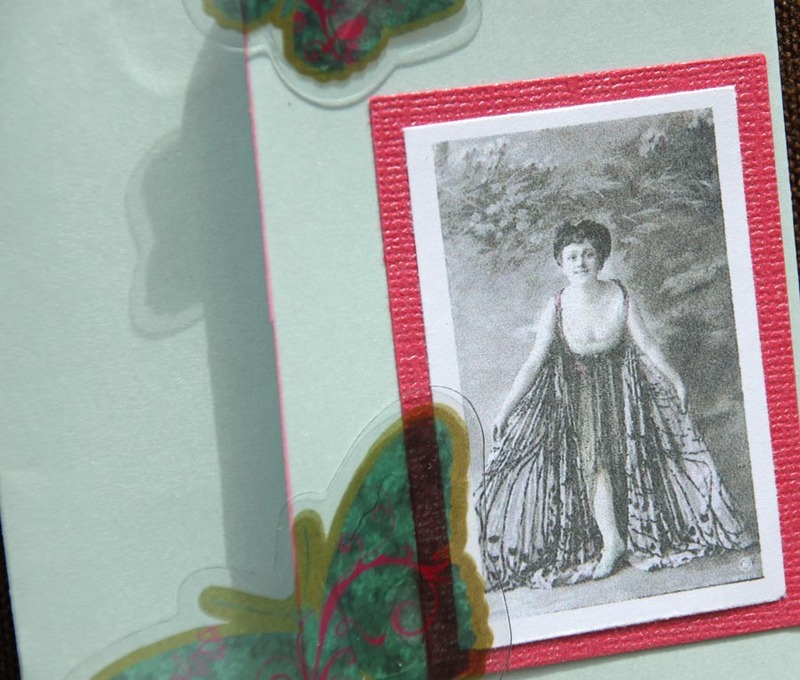 Have you tried the Standing Pop-Up Card yet? It's a really fun card! I love making them! When the receiver pulls it out of the envelope it's flat like this. You pull it up a little bit, the card actually wants to open so it is obvious to the receiver what to do. Then it pops up and stands on it's own! Super cute! I used The Man to decorate it and a green gel pen to color with. Thanks so much for stopping by today! We sure appreciate it! Hi everyone! 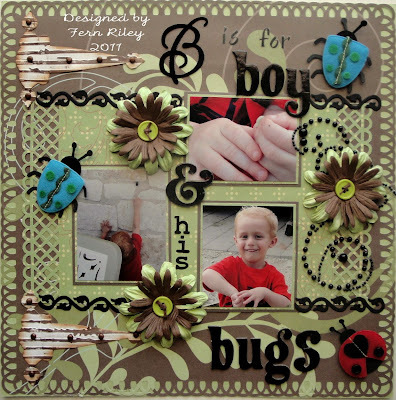 It's Taylor here today to share a quick project. 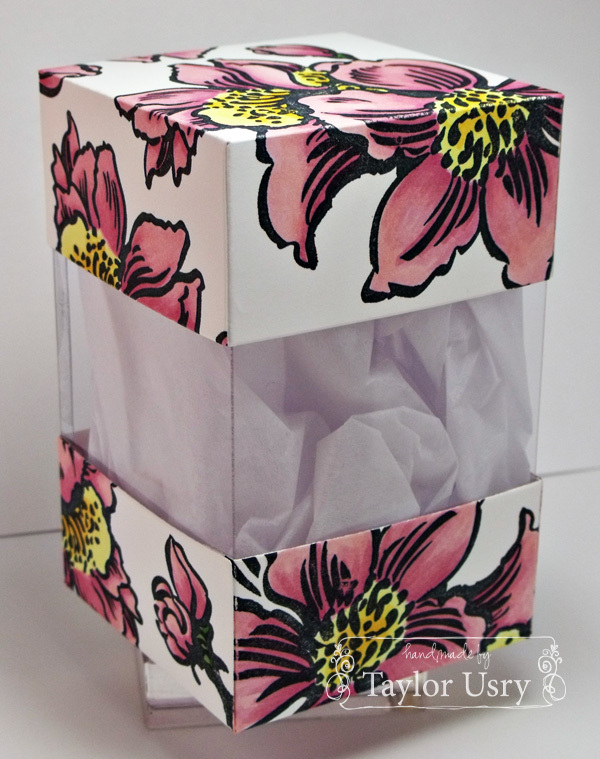 I made a fun little peek-a-view box recently, with the intention of giving it as a gift. Except, once I colored it, I decided I liked it so much, it's still sitting on my desk! The box is entirely unembellished and I really like it as is. 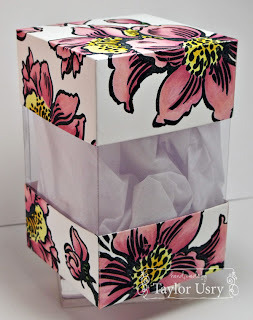 I love these boxes from Creative Cuts and More - they are SO versatile! They couldn't be any easier to put together, either. I started with the pre-cut and scored pieces (in Neenah White, and acetate). 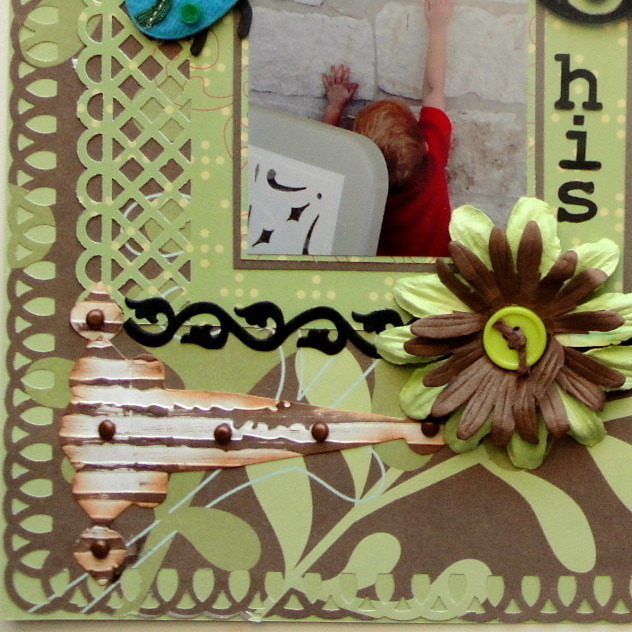 I stamped my image (it's a Cling Jumbo Dogwood stamp from Stampendous) and colored it with Copics. Once that was done, all that was left was to put it together! I highly recommend the Killer Tacky Tape, which is available in different widths. I think I'll be making a lot more of these - they are prefect for hostess gifts, teacher gifts, or just to sit on my desk and look pretty, like this one is! Good Monday morning everyone!!! 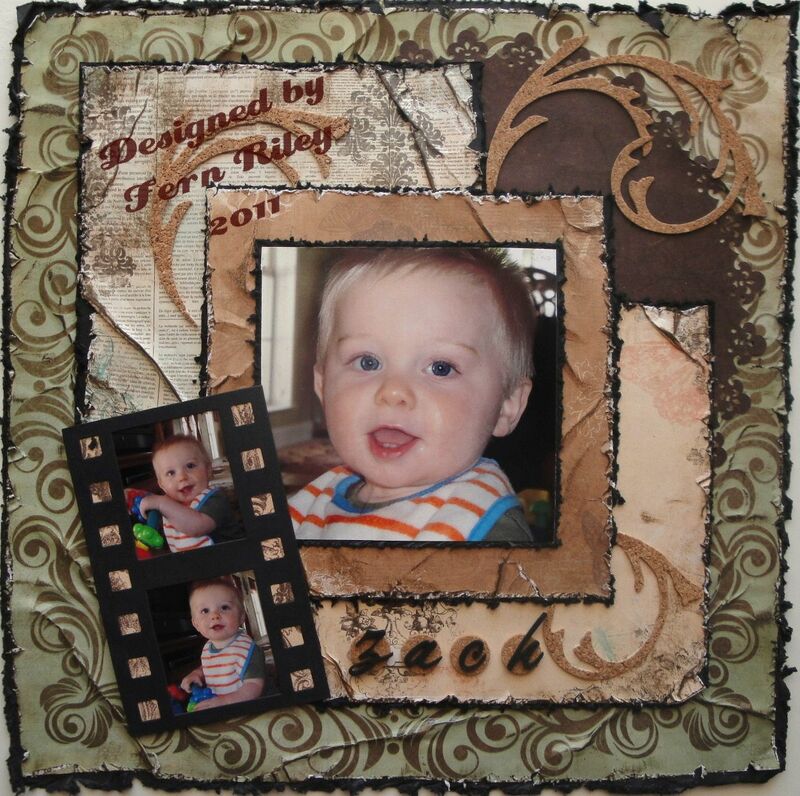 Fern here, and I want to show you how I used just one of the many die cuts you can get from Creative Cuts & More... 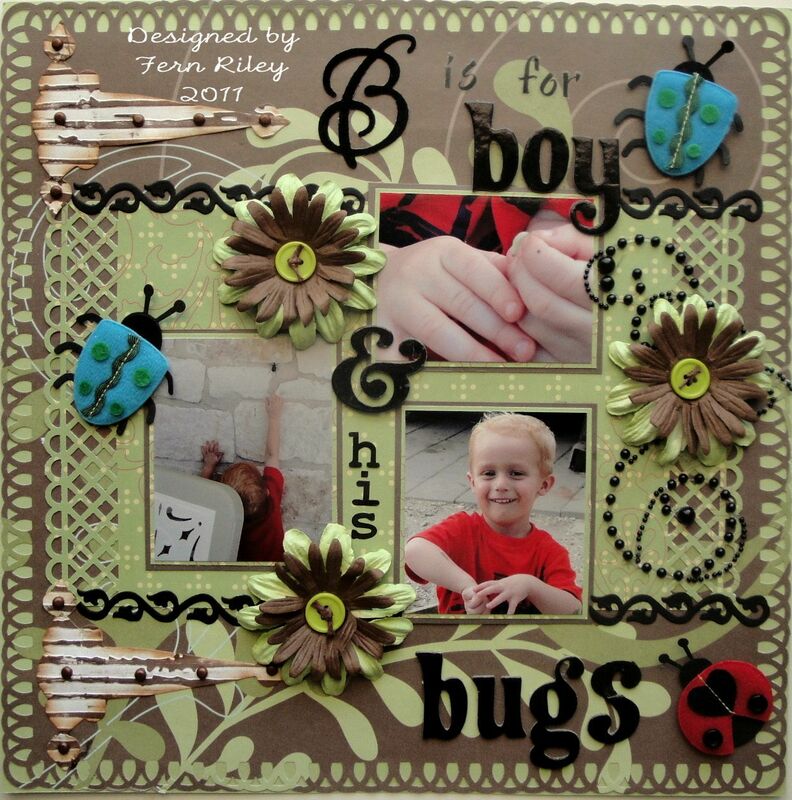 I am using the Hinge #04 in Whitestone - Neenah Smooth on this cute layout of little Grandson Colten.. (My little Bug Boy... Grandma just better not find any of these in her house!!! lol) I embossed the hinges with my cuttlebug Distressed Striped Embossing Folder and then I rubbed some Mememto Rich Cocoa Ink over it.. I love the way they turned out..
You can also see that I added some tiny copper brads.. Which I should add, the holes were already there for me.. How easy is that!! See how large they are, the perfect size for a layout. You might be surprised on how many things you can find over at Creative Cuts & More that can also be used on your scrapbook layouts..
Have I got one of the greatest ideas for a fun gift from Creative Cuts and More for that special man in your life. I started with an Apron Pocket A7 Card. It was cut out with acetate for a clear look. This is a fun idea I came up with to make a man type gift card holder...I like the look of a leather or fabric apron. I added Tim Holtz glassine to the backside and then added a few gears. The gears were put on with eyelets to hold. Wanted to show a view with my fingers behind so you could see how clear it really is. The edging and the tie area were made with stickable canvas.I stamped Happy Fathers Day to decorate. I am going to put a gift card in the pocket for a Home Improvement store. So what do you think? Is this a fun idea or what? Hi! 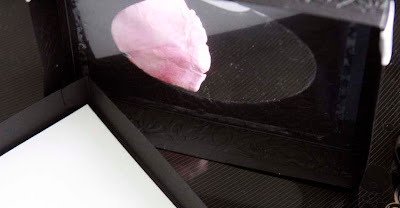 It's Nora Anne posting today and I have a layout to share with you. 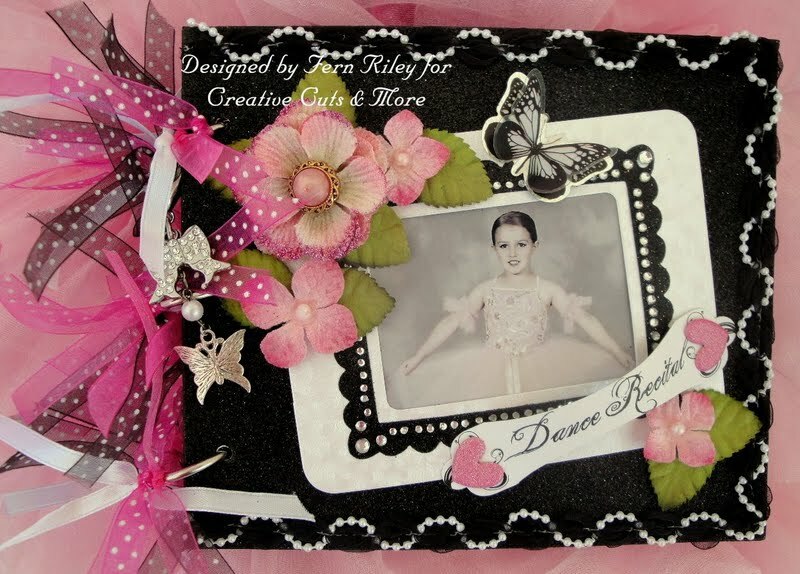 This is quite a surprise since I never scrapbook anymore! 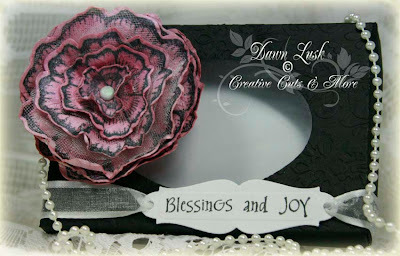 But I had these fun big scallop circles from Creative Cuts and More and they were calling my name! The best thing is they are available in SO MANY colors and textures! I decided to layer two here and I positioned them "off the page" for a different look. So before you shut that browser, hop on over to Creative Cuts and More and grab some for yourself! 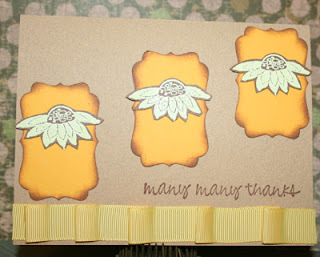 I love the yellow on this card! It reminds me of summer! 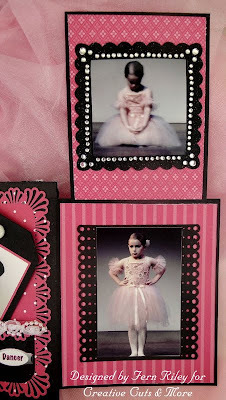 I ADORE ordering A2 cards in kraft. EVERYTHING in the scraproom matches kraft don't you think? Have you bought any Killer Red or White Tacky Tape yet? I'm telling you this stuff is GOOD!! The white is tear-able, it's my favorite. I can't even believe it tears like masking tape and sticks like the Killer Red! If you want your projects to stick together forever, pick up some of these! You really won't be sorry! 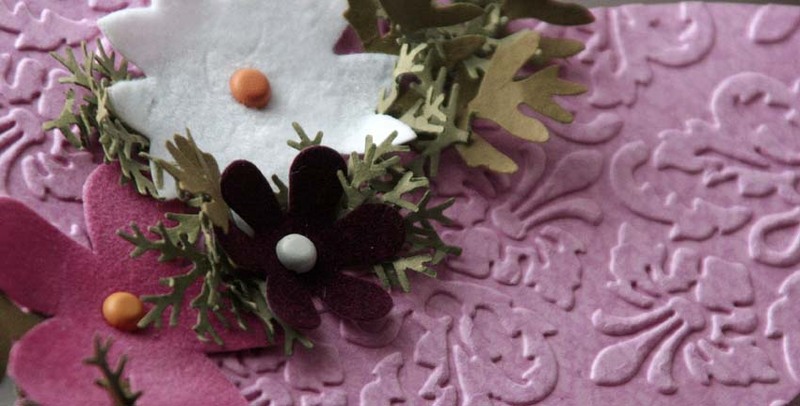 To layer that ribbon you just lay down a strip and every time you make a loop, just stick a small piece in there. Easy as can be! Creative Cuts and More Die Cuts are perfect for your Scrapbook Pages!!! (And you can also get the Small Filmstrips.. 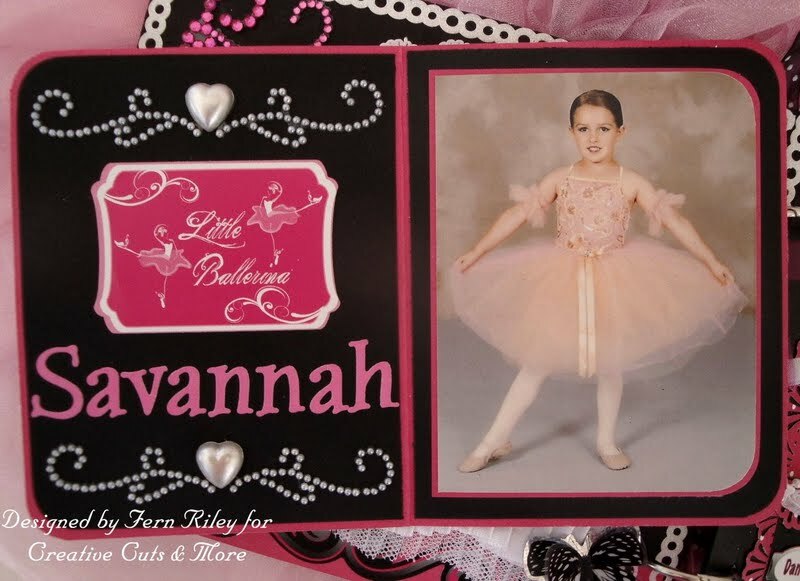 They are available in Smooth, Textured and Metallic Cardstock, Velvet Paper and Chipboard. 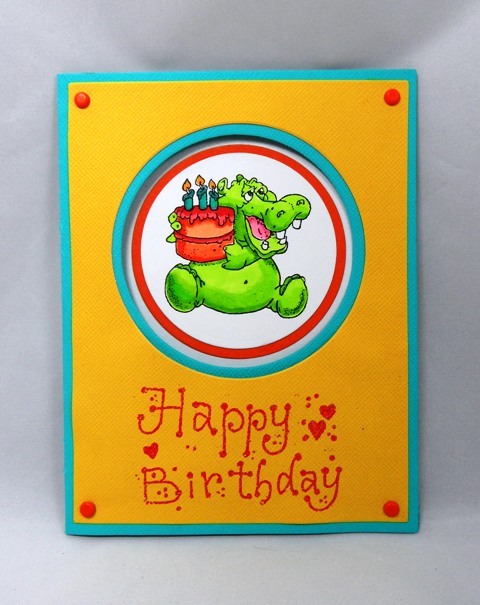 I have a fun die cut birthday card to share with you today. 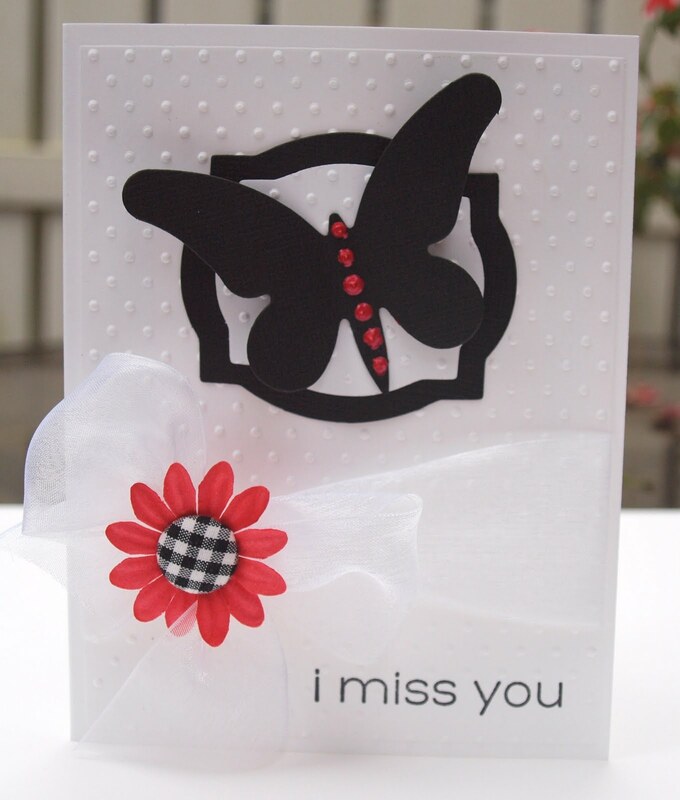 This is a Circle Window A2 Card with Mat from Creative Cuts & More. The card was cut from Bazzill Criss Cross "Swimming Pool" cardstock and the mat is cut from Bazzill Criss Cross "Sunshine". 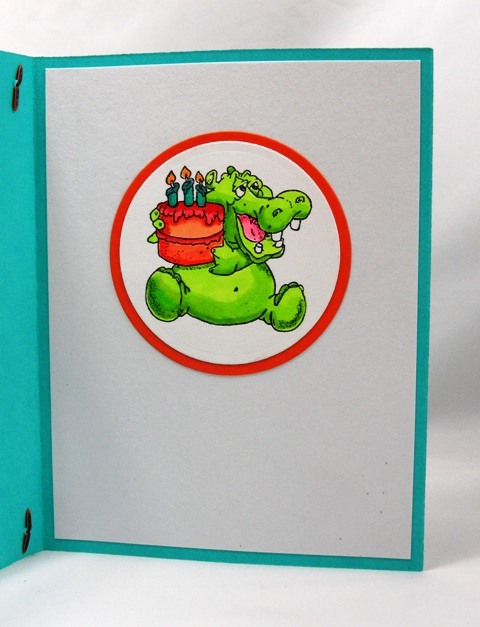 I stamped the alligator image on a white circle and backed with and orange circle which was the perfect size to peek through the die cut circle on the card! It looks like a lot of work with all the matched up die cut circles but it's really easy when you start out with Circle Window A2 Card with Mat from Creative Cuts & More! 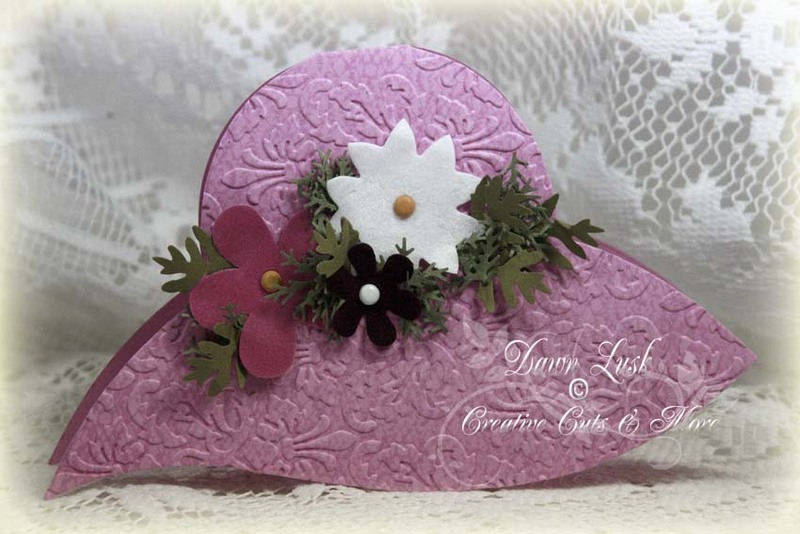 Dawn Lusk, here, sharing this Hat Card from Creative Cuts and More. 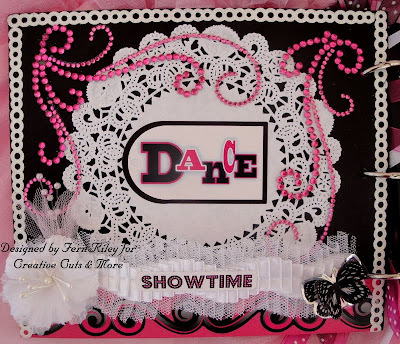 This die cut comes ready to embellish whatever your need may be! I chose to do more of an "encouragement" type, but how cute would it be for a tea party invitation!! I stamped it with Crocheted Background (Our Daily Bread designs) then embossed with an embossing folder. 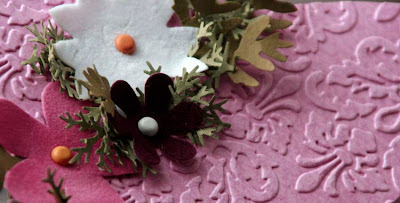 The fun part was adding these cool Felt Flowers from the Flower Assortment-Felt-Dark. For filler, I added some punched foliage. That's what friends are for! The quote from Our Daily Bread designs. 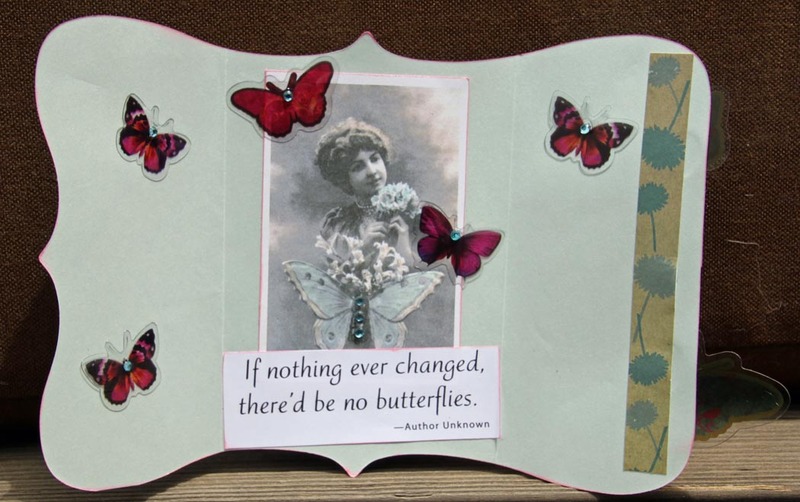 make a card and brighten someone's day! Need something other than a card as a Thanks?